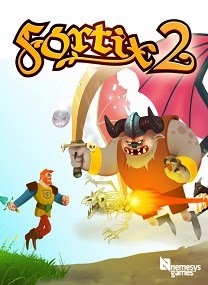 Fortix 2 is best described as a reverse turret defense game. 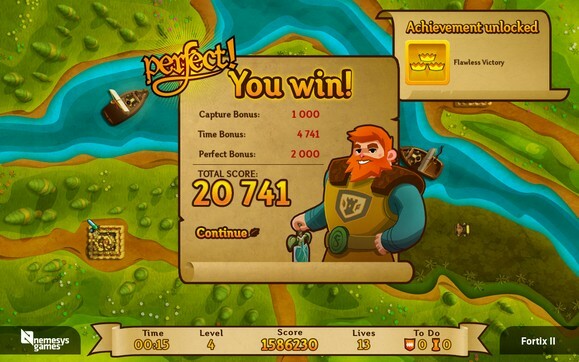 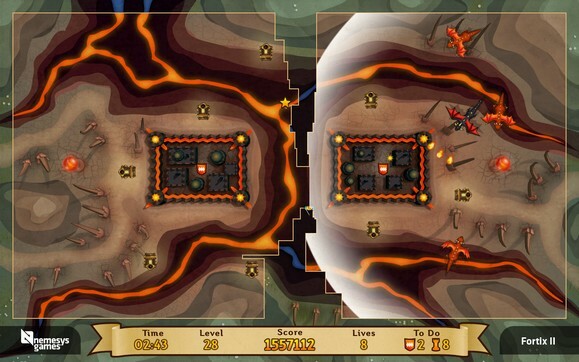 As Sir Fortix, the knight, you must conquer castles while dodging tower turrets and evil monsters. 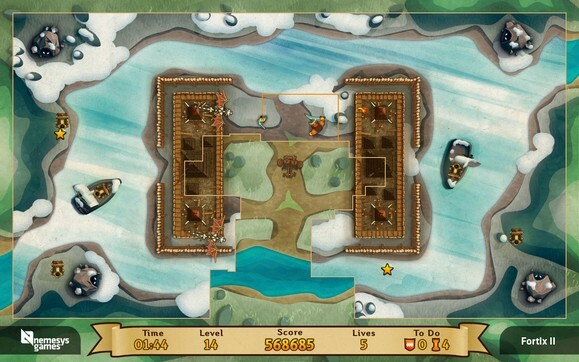 Fight your way across the shires of the island Artalom, storming from castle to castle. 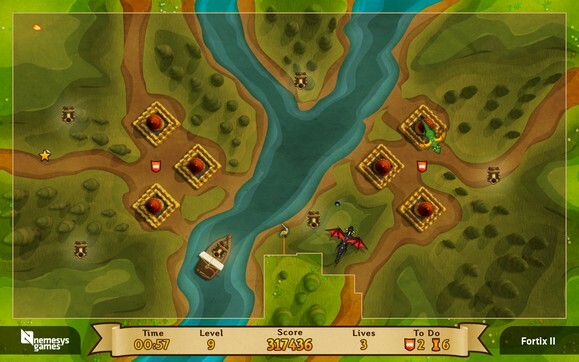 Use cunning strategy to succeed against the maze-like levels and defeat the evil mage Xitrof. 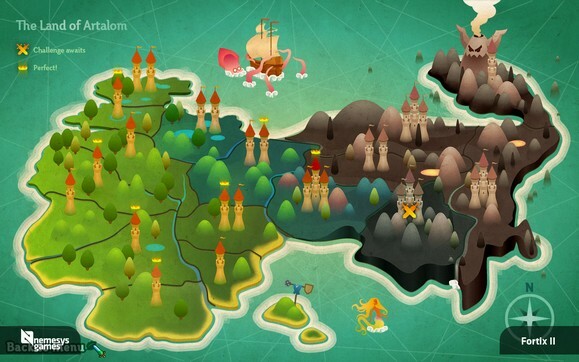 You are the lone Knight who must fight against the entire infested continent!